Brilliant and joyful regal fun for all young royalty! This majestic moonwalk is fit for any king or queen, with colors of blue, green, red, yellow and orange, along with four tall spires to make any palatial party a success. Promote healthy activity and entertainment with easy set up and safe jumping in this one-of-a-kind moonwalk. Kids will have a grand time ruling and making friends. 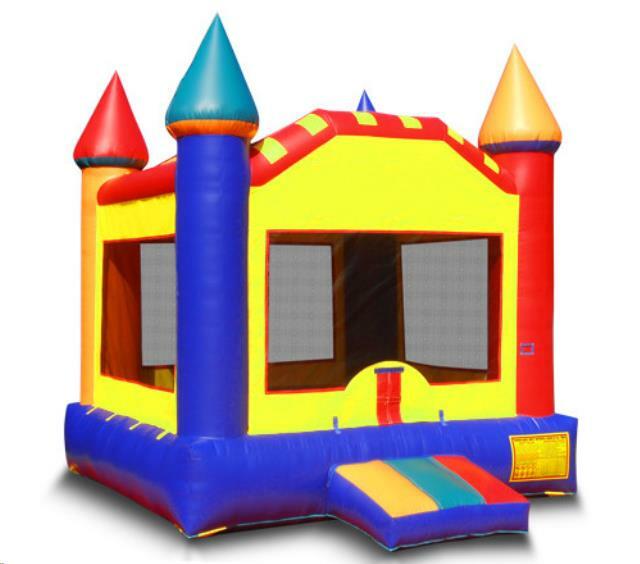 * Please call us for any questions on our primary castle bouncer rentals in Rocky Mount and Wilson NC.